We had a great stay at this hostel! Our flight got delayed so we arrived at the hostel in the (very) early morning instead of the night before, but Paul was so kind to come to the hostel and let us in. The hostel is extremely clean, never seen a hostel this clean! The rooms are basic but good enough and have private bathrooms, very nice! The atmosphere is a bit dry, nobody really talked to each other. 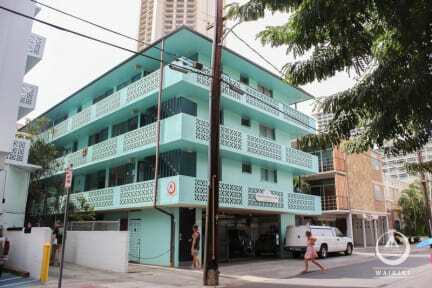 But overall this hostel is really the best option if you want to travel to Hawaii on a budget! 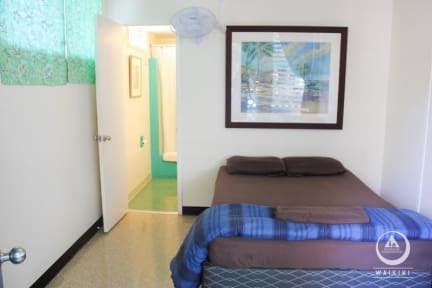 Great location in the center of Waikiki, quiet and comfortable.